"So many Jonathans. A plague of literary Jonathans." Jonathan Franzen has reluctantly accepted his role as one of America's most prominent literary authors. He writes massive novels about broad ideas that garner critical and popular success. Despite the persistent buzz around his previous novels The Corrections and Freedom, I've never been inclined to read any of his works for myself. When a book club that I follow through Goodreads announced his latest Purity as their monthly selection, I decided to see what all the fuss was about. The main protagonist is Purity "Pip" Tyler, a twenty something year old who is saddled with overwhelming debt, an underwhelming job with a corporation that she's pretty sure is nothing more than a scam, and a reclusive and emotionally unstable mother who refuses to reveal the identity of her absentee father. Pip uses her sarcasm and unyielding devotion to her mother to cope with the less than ideal place she finds herself in. She comes up with a plan to address the first of her problems. If she can discover the true identity of her father, she might be able to convince him to help alleviate some of her debt. Unfortunately, Pip's mother refuses to give even the slightest hint to the man's identity. The story begins to turn from a focus on family drama to more current affairs when Pip is afforded the opportunity to intern with The Sunlight Project. The initiative is comparable to WikiLeaks. The project is led by Andreas Wolf, the German equivalent to Julian Assange, who claims his work comes from pure intentions. As Pip travels across the globe to further bring to light the truths of the world, she secretly hopes to unearth a truth of her own. Even though she is excited to do what she considers to be meaningful work, she is equally eager to use The Sunlight Project's vast resources to finally uncover the name of her father. At nearly 600 pages, Purity is an ambitious work that blends complex characters and situations around its central theme. Beyond the present day story of Pip's search for her father, Franzen writes numerous backstories that end up forming the majority of the work. Through these detours, we gain a greater understanding of each of the characters that Pip is encountering in her life. With the dexterity of a masterful wordsmith, Franzen strings together these plots in a way that allows each to have a unique identity without ever detracting from the book as a whole. It is the idea of purity that brings these pieces together. Each character is motivated by their own idea of what they believe to be pure actions. 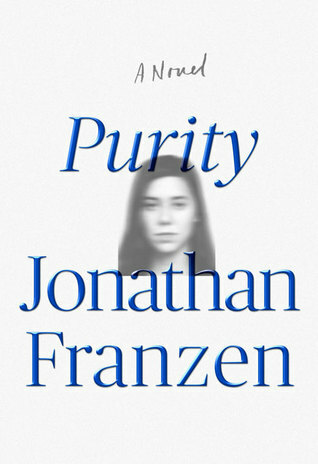 Even with an ending that did not seem worthy of the story that preceded it, Purity is a thought provoking and surprisingly enjoyable read that makes me eager to read Franzen's other novels. This entry was posted on Saturday, July 23, 2016 and is filed under Family Drama,Jonathan Franzen,Literature,Purity,Technology. You can follow any responses to this entry through the RSS 2.0. You can leave a response.